Interested in Consigning Entertainment & Music Memorabilia? 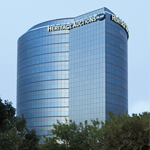 We are always accepting individual items and collections for consignment to future auctions. Please complete the form below to begin the consignment process. You can also call our Consignor Hotline at 1-800-872-6467, ext. 1002. You are under no obligation, and your information will remain confidential. What is my Entertainment & Music Memorabilia Worth?